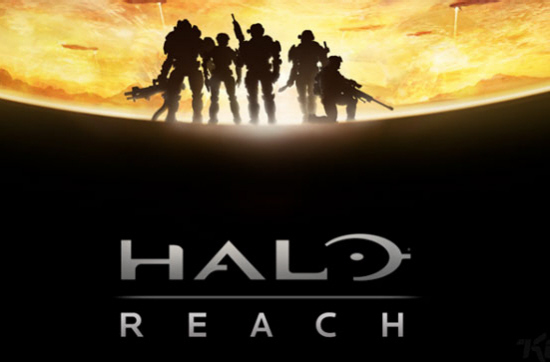 At their Comic-Con Panel, Bungie had some new elements they wanted to discuss about Halo Reach. First off, Firefight will allow you control certain covenant charaters, similiar to Beast mode. A new, yet humorous vehicle was introduced: The forklift. It even beeps when you want to back up. The highlights for me personally though, were the major improvement to Forge, The Forge World beyond the cannon, and the announcement of a Halo Reach Xbox 360. Check out the ViDoc below on the Forge aspect, and right below that is details on the Xbox 360 Bundle. 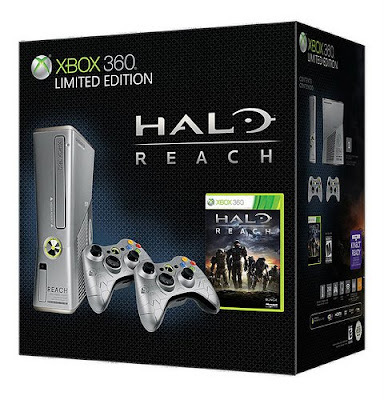 This Halo-Branded Xbox 360 features the New model of Xbox 360's, plus two wireless controllers and the Standard version of Halo Reach. The Xbox itself is a metallic silver. Could it get better? Yes it can as the startup for the Xbox has a Halo tone to it, and upon opening the tray, you will hear the sound of a Shield Recharging like the game does. Awesomeness! The Halo Reach Xbox 360 bundle will be available on September 14th for $399.